Orissa is a treasure trove of mineral wealth and is a famous tourist destination of India featuring a range of exquisite temples and holy shrines. 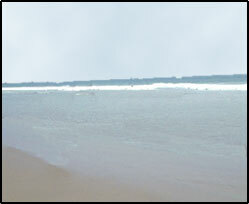 Orissa also has a long coastline that makes it an ideal beach destination. It shares its borders with the states of West Bengal, Andhra Pradesh, Jharkhand and Chhattisgarh. A tour to Orissa would take you to some of the most breathtaking scenic destinations and lots of man made tourist attractions. Among the tourist attractions in Orissa, some of the most remarkable ones are Konark temple, Jagannath temple and Barabari Fort. Orissa also flaunts a rich cultural heritage and religions such as Hinduism, Islam, Christianity, Buddhism and Jainism have their presence in the state. It occupies a prominent place in the itinerary of a globe trotter for its exquisite tourist destinations and several enchanting festivals. For beach lovers, Orissa is a perfect place featuring some of the finest beaches such as Chandipur beach, Gopalpur beach and Puri beach. The lakes of Orissa are equally impressive, the Chilika Lake being the largest brackish water lake in Asia, and a spot of captivating beauty. Orissa state in India is an adventure lover�s delight and features some of the most impressive trekking spots such as Mahendragiri Trek, Gandhamardan Trek, and Nilagiri Trek. Since Orissa is an important state in terms of tourism, there are varied lodging options available in the various towns of Orissa. While in the capital city Bhubaneshwar, you can choose from the hotels such as Oberoi Hotel, Trident Hilton Bhubaneswar, Hotel New Marrion, Mayfair Lagoon, The Crown and Hotel Arya Palace. Puri also offers several lodging options such as Camellia Hotel, Hans Coco Palms, Hotel Toshali Sands and Hotel Vijoya International. Orissa is also famous for various festivals such as The Garbhana-Sankranti, Kumarotsava-the 'festival of youth' and Rath Yatra. All these festivals have their individual importance and significance, and play a major role in the tourism of the state. Orissa can easily be accessed by air, rail and road transport. The town of Bhubaneshwar is well connected by air transport to the other towns of Calcutta, Chennai, Visakhapatnam, Delhi, Hyderabad, and Mumbai. If you want to reach the state by rail transport, then the major railway stations are Bhubaneswar and Puri. Orissa is also well linked by the road transport and the national and state highways pass through the state thus making access to the state quite convenient. Orissa is a famous tourist destination in India and has much to offer to its visitors, be it sightseeing, festivals or adventure. You must travel to this magnificent destination and enjoy its splendor during your vacations. Know more about Orissa by clicking on to the site touristplacesinindia.com, which offers valuable travel information on Orissa.